What Happened To Billionaire Seth Klarman’s Top Biotech Picks In The Third Quarter? Some investors think billionaire Seth Klarman is the next Warren Buffett. Given that Klarman’s $31 billion fund, Baupost Group, has achieved average annual returns of 17% a year for over 30 years, it’s hard to disagree. Klarman clearly has had some insights that other investors wish they had. 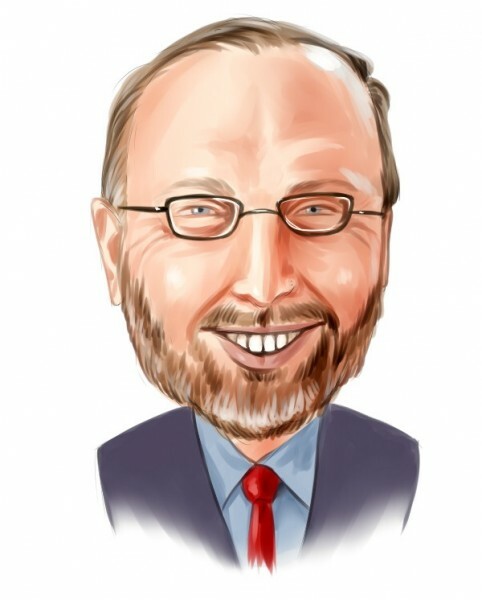 Since Klarman is a value investor and maintains a long-term view, his picks are particularly suitable for the average non-billionaire investor. So without further ado, let’s examine Klarman’s top biotech picks and see how they did in the third quarter. We mention the portfolio of elite investors such as Seth Klarman because our research has shown that elite funds are extremely talented at picking stocks on the long side of their portfolios. It is true that hedge fund investors have been underperforming the market in recent years. However, this was mainly because hedge funds’ short positions lost a ton of money during the bull market that started in March 2009. Hedge fund investors also paid an arm and a leg for the services that they received. We have been tracking the performance of hedge funds’ 15 most popular small-cap stock picks in real time since the end of August 2012. These stocks have returned 102% since then and outperformed the S&P 500 Index by around 53 percentage points (see the details here). That’s why we believe it is important to pay attention to hedge fund sentiment; we also don’t like paying huge fees. Theravance Biopharma Inc (NASDAQ:TBPH) was spun off from Theravance Inc (NASDAQ:THRX), Klarman’s top biotech stock pick, in 2014 and fell by 15.6% in the third quarter. The spin-off has one drug on the market, VIBATIVE, which is an intravenously-administered, once-daily antibiotic effective against gram positive bacteria including MRSA. VIBATIVE made $7.1 million in total sales last quarter and net sales grew by 66% sequentially. To expand sales, the company is looking to get VIBATIVE approved for bacteremia. In addition, Theravance Biopharma Inc (NASDAQ:TBPH) has several other late-stage drug prospects including Revefenacin, for the potential treatment of COPD and other respiratory diseases, and Axelopran, a potential pain treatment. The company has $228 million in cash and equivalents as of June 30, and burned $78 million in the first half of the year. Steven Boyd‘s Armistice Capital owns 974,000 shares. Forward Pharma A/S (NASDAQ:FWP) is a biopharmaeutical company preparing to begin Phase 3 trials for FP187, a proprietary formulation of dimethyl fumarate, for the potential treatment of multiple sclerosis and other immune disorders, including psoriasis. The treatment of multiple sclerosis is a multi-billion dollar market, but there are currently many drugs already on the market, made by major drug companies. Shares of Forward Pharma fell by 38% in the third quarter as investors became less optimistic on the company’s prospects but they are still up by 27% year-to-date. Analysts have a consensus price target of $39.75. Atara Biotherapeutics Inc (NASDAQ:ATRA) fell by 40% in the third quarter but is still up by 17% year-to-date. The company’s lead product, PINTA 745, is in phase 2 clinical trials for the treatment of protein-energy wasting in end-stage renal disease patients. The company also has several T-cell product candidates in phase 2 trials for the potential treatment of various blood cell tumors. Analysts have a consensus price target of $48.25 on the stock.